Matt Cutts has confirmed that Google is cracking down on blog scrapers in an effort to improve its search results. Content scraping has been a problem both for Google and for bloggers for some time. Of particular concern is pages with scraped content that rank higher than the pages the content was originally posted on. Last Friday Cutts turned to Twitter to enlist the help of Google users in combating the practice. Users who have identified scrapper sites can now report abuses using a Google doc. form. Google appears to be making a definite distinction between content scraping and other “spammy” practices that violate the company’s guidelines. The form is not intended to be used to perform a “spam report or notice of copyright infringement.” Links to those forms are also included on the scraper report form. Earlier this year, Google argued that the quality of its search results had not suffered from the proliferation of scrapper sites but announced that it was implementing “new efforts” to reduce the amount of spam. In February, Google rolled out its initial Panda update which was intended to further reduce the amount of spam but, according to many webmaster, the problem actually got worse. A number of innocent sites also saw their rankings drop temporarily. Most of these “innocent bystanders”, however, have seen their rankings rebound in recent months. Google responded a few months later with a second Panda update and may well be planning yet another update, incorporating data it gathers from actual users who report scraper sites. Is content creation part of your SEO strategy? Have you been a victim of content scraping? 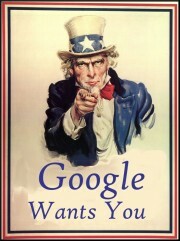 Do you think Google is on the right track in its efforts to reduce or eliminate the problem? We’d love to hear your thoughts. Please leave a comment below.